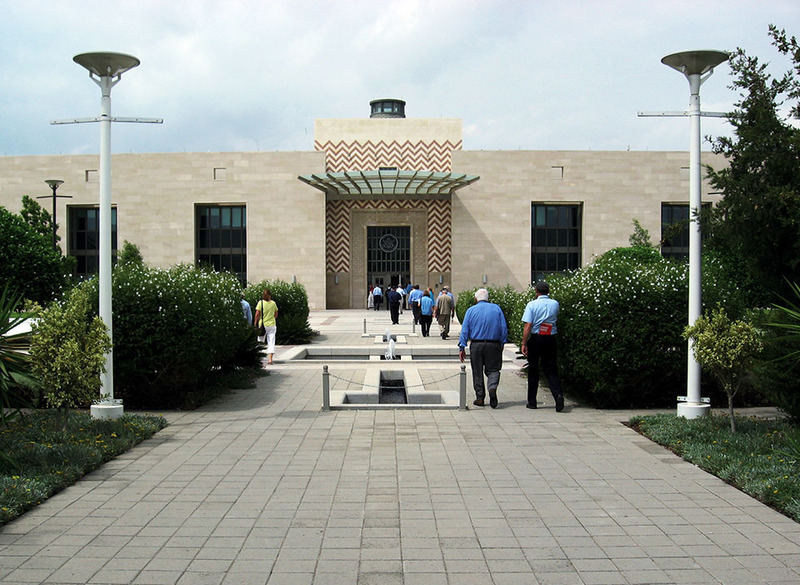 The United States Embassy in Tunis, Tunisia is a 21-acre diplomatic compound comprising offices, consular and American citizen services, administrative support, and building and equipment maintenance functions. The compound is located in a park-like setting bounded by existing open space and major roadways. 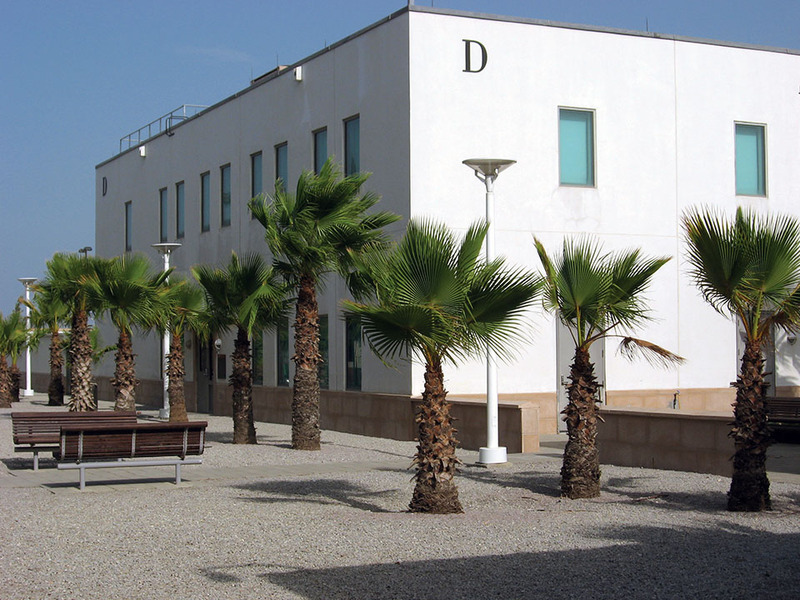 As landscape architectural consultant to the project architect and the Office of Foreign Building Operations at the U.S. Department of State, CRJA provided complete landscape design services, including master planning, site design guidelines, planting design, irrigation, grading, site furnishings, water features, paving, fencing, and site lighting. 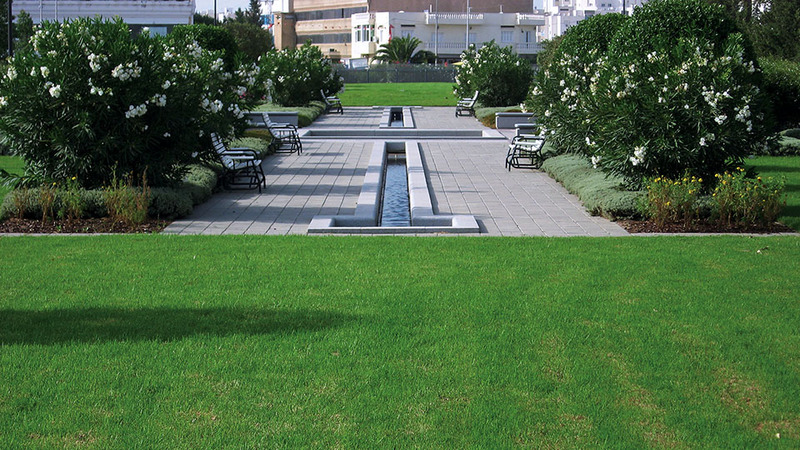 The landscape design approach addresses the site’s location and urban context, the programmatic needs of the facility, and the realities of construction costs and long-term maintenance requirements. 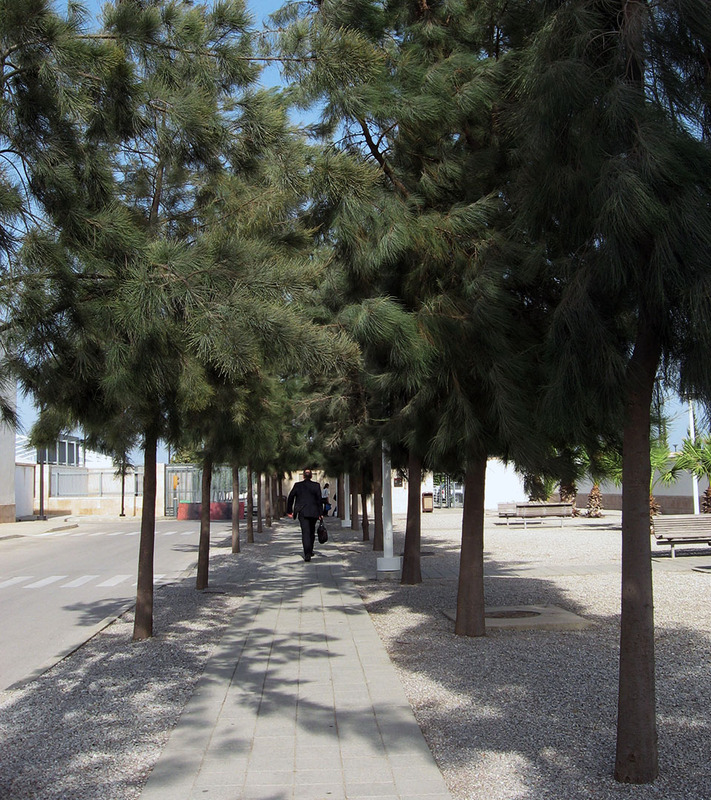 The landscape design relates to the existing open spaces to the east and west of the site. 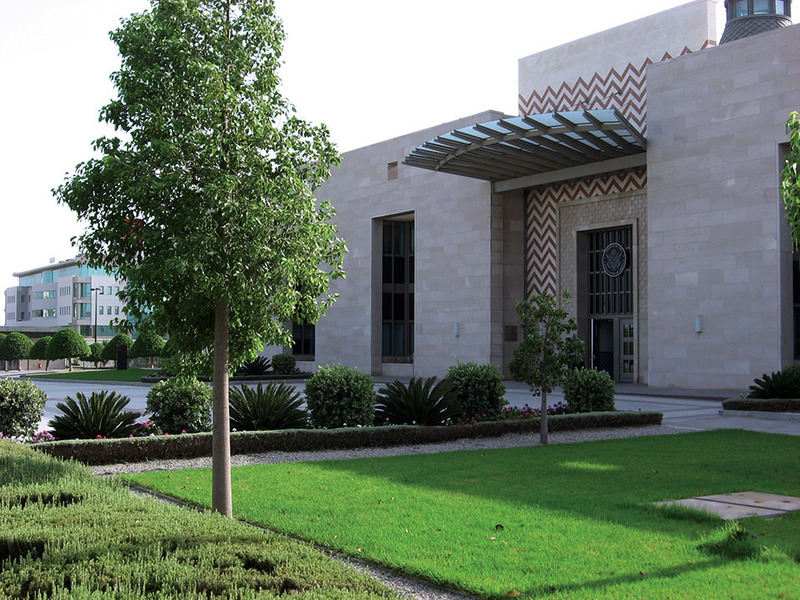 It expresses a public/private dichotomy by addressing the surrounding streetscapes with a civic-minded quality, while creating a unique and restful internal environment for the Embassy staff and visitors. The plan draws on Mediterranean garden traditions, the local agricultural landscape, and the architecture of the proposed buildings. 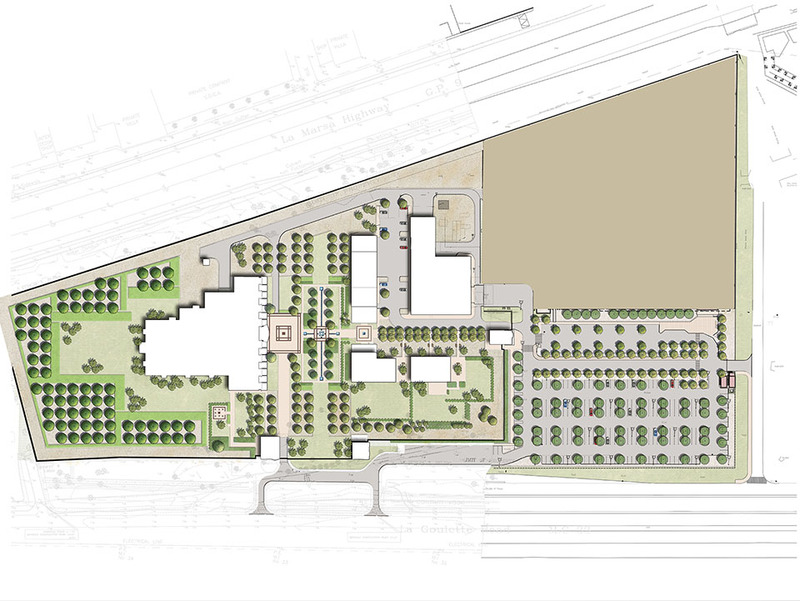 The relatively dense arrangement of buildings lends itself to the creation of a series of shaded courtyard gardens. 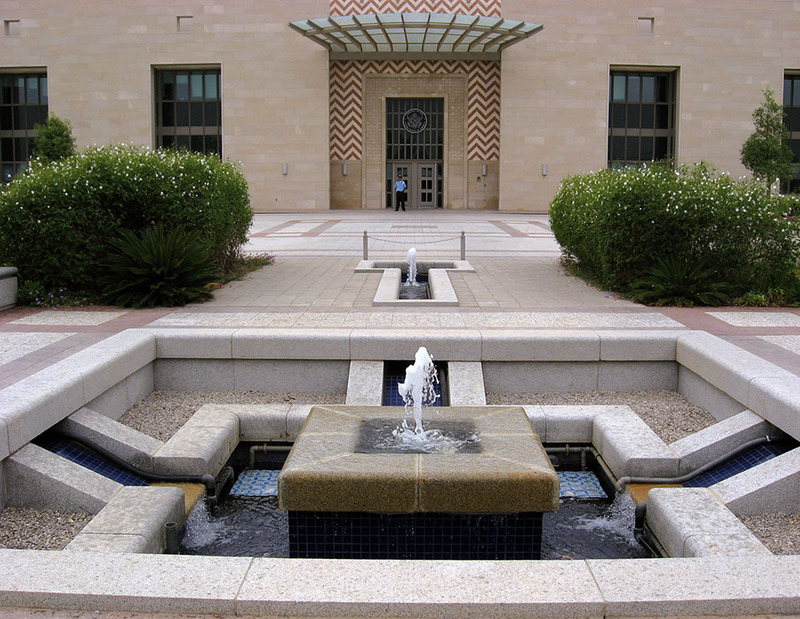 A large central water feature serves as the centerpiece of the composition, located where visitors and daily users will enjoy it. To promote environmental sustainability, roof water is directed into sunken areas where the groves of live trees are planted.